2012 is a big year for politics with 10 countries holding Presidential Elections. The potential leadership changes in the United States, France, Russia, Venezuela, Hong Kong, Finland, India, South Korea, Mexico and Taiwan are all important, but some more so than others. 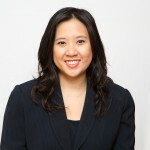 For example, the outcome of the elections in Hong Kong, Finland and Taiwan will only impact the markets domestically whereas the outcome of the U.S. and French elections could have global repercussions. The Presidential battles in Washington and Paris mean that world leaders will be more focused on domestic developments than global cooperation. Unfortunately this comes at a dangerous time when countries around the world need to work together to help each other rise from the ashes. For the currency market, an inward focus could mean less global progress and more risk aversion / deleveraging / demand for safe havens like the U.S. dollar. Stocks usually perform well in election years – 2008 was different because we had the financial crisis but over the past five decades stocks fell only 4 out of 17 election years. Using the deutschmark as a proxy, we analyzed data on the EUR/USD going back to the 1970s which covers 9 election years in the U.S. As shown in the table below, we found that the EUR/USD weakened 8 out of the 9 election years by an average of 6 percent. 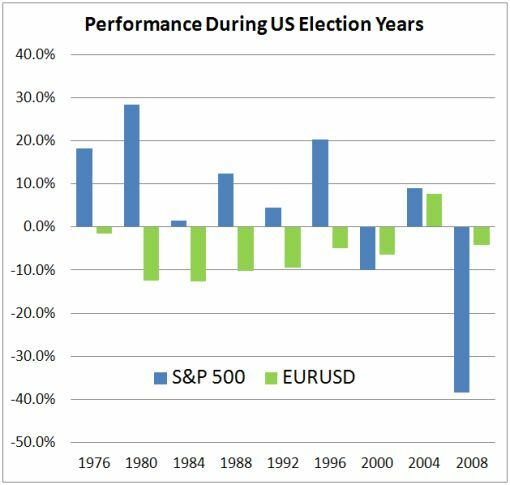 In other words, the U.S. dollar tends to perform well against the euro in election years. No consistent election year patterns were found in USD/JPY or the Dollar Index. Although history does not always repeat itself, it is helpful to understand where the seasonal bias lies. The EUR/USD has performed extremely well in the start of the year, but eight out of nine times are very high odds and for this reason, we would not be surprised to see the EUR/USD reverse trend as the year progresses.